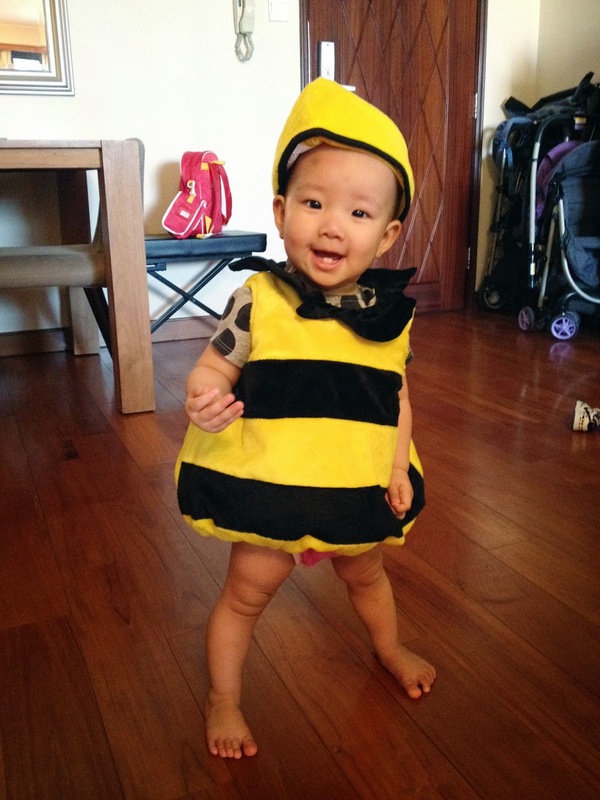 On Oct 31, 2013, Natalie and Lauren went trick-o-treating with friends around Parkview residences. Ashley is happy just bee-cause. Daphne yee-yee drawing a spider and web on Nadia's cheek. "We're ready to trick-or-treat now!" Emily is the cutest little strawberry. I would totally eat her if Debbie yee-yee would let me. Uncle Jason was very, very brave to voluntarily join in the fun. Olivia and Sophie had great little pony costumes. Natalie getting in there. She wasn't afraid to squeeze past the big kids. Deb, Daphe and me. Oh yes we did. Lauren the little charmer holder uncle Jason's hand. Exhausted but elated gang of professional candy-hunters. Lauren and Nadia photo bomb this family photo.